A new version of this plugin has been released and I've made a new primary post. 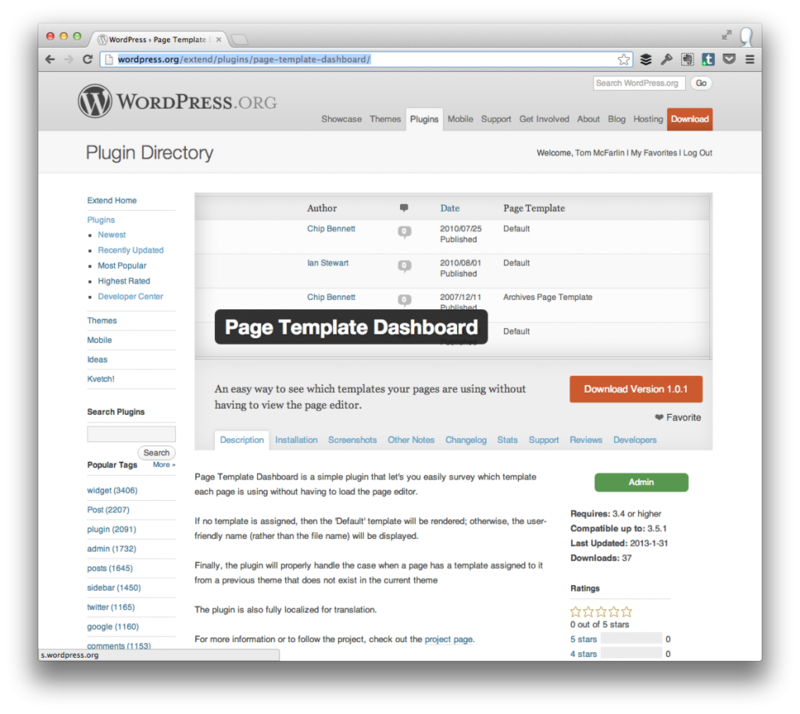 Page Template Dashboard is a simple WordPress plugin that makes it easy to see which template each page is using without actually having to load up the post editor screen. This particular plugin is one that I’ve been using personally during development, but have never bothered to release a proper version of it. Obviously, it’s a simple plugin but it’s meant to save editors, authors, developers, and anyone else that spends a lot of time in WordPress a little bit of time. Will check to see if the template applied to a page exists before displaying it just in case the page template information is left over from a previous theme or plugin. 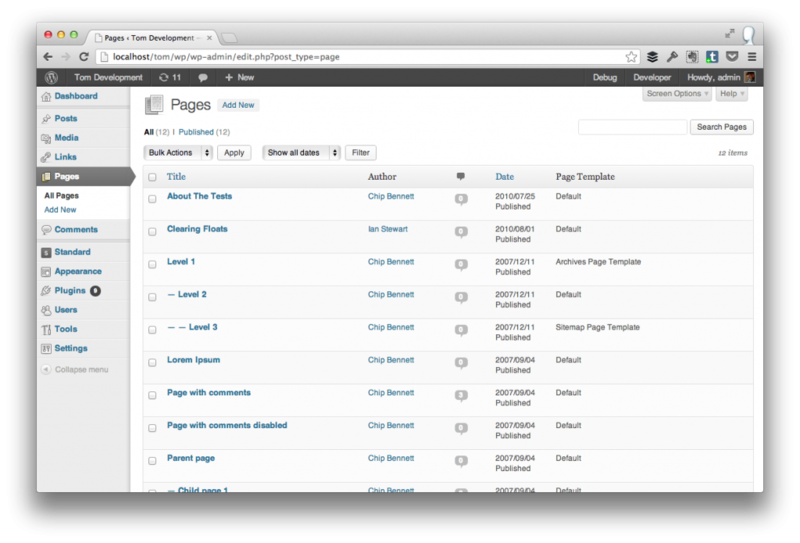 The Page Dashboard after the Page Template Dashboard has been activated. The plugin is also fully localized and ready for translation as per the WordPress best practices. You can read more information and download a copy of the plugin at the WordPress Plugin Repository. As with all of my other projects, I’m always looking for feedback be it in the form of bug reports, issues, or suggested improvements so don’t hesitate to contact me or leave a note in the plugin’s forums. Excellent plugin – I’ve got it installed on one of my sites now. It will also work well for my new client sites where they have a pre-built theme created by someone else that just needs some tweaking/fixing done. Thanks! Simple yet very useful, as can be usually applied to every great idea! Thanks for this, Tom, I was missing something like it. Now THAT is what I call a great plugin! Love the idea behind it. Bravo! Just a quick heads-up: I’ve been curious, so I had to give it a spin. And so I’ve installed it on a site where I had a child-theme enabled. On the “Page Template” column, all of the pages showed “Default”, even though some of them were associated with a page template. While peeking at the code, I noticed that you’ve used get_template_directory() to check if the template file exists. But that always checks the parent theme. I think that instead, you should use get_stylesheet_directory() because it takes into consideration both child and parent themes. The get_stylesheet_directory()is a great point. Basically, this plugin came out of a small utility I was using locally so I opted to release it. This will make a good improvement, so I’ll aim to release it soon (and give you props in the credit). As far as get_page_template_slug() is concerned, I’ll look into it – first time I’ve heard of that function. If it’s more useful and better than what I’m doing, then I’m all for it. You’re like the Microsoft Encarta of little known WordPress API functions ;). Oh, and I’m glad you’ve found my feedback useful. It’s fine because when you release a plugin you barely get to think the ins and outs of it properly. Iterate and ship – that’s how it should be. Yes – big fan of having strong 1.0’s and then improving from there. I try to do that with nearly every single thing I ship. I love this plugin. However, it seems that the Yoast plugin has an issue with an undefined variable $template_name in class-page-template-dashboard.php @ line 160. Declaring the variable and instantiating it with empty quotes ($template_name = “”;) at line 137 seems to fix the error. While this might not be the “proper” fix, it worked. The error would show up on the page list view in the admin panel under the SEO column that Yoast adds in. Thanks for the heads up! I’ll create an issue and see about getting it resolved when I have the chance to revisit the plugin. 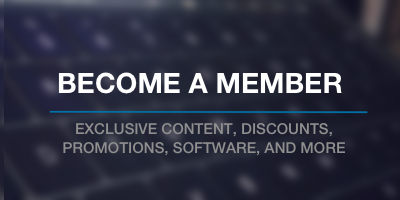 Next PostNext Open Source Profit Sharing: How Do You Do It?